We outline the risks of potential Australian housing bubble. In Economics other countries experiences in similar circumstances provides in valuable perspective and natural experiment on what the impact would be from collapse in real estate prices and can act as a guide for Australia in the future. Chart above shows the severity of housing construction decline as result of deflation of the housing bubble. The fall of almost 60% from peak means almost halving the peak construction employment levels. While we are not there in the Sydney market. There is a risk in apartment oversupply in Melbourne and Brisbane. Risk of excess supply in any slow downs scenario would reduce future construction. This would put pressure on construction jobs. Australia housing approvals are slowing and the year on year impact would be a drag on growth in 2017 and 2018. 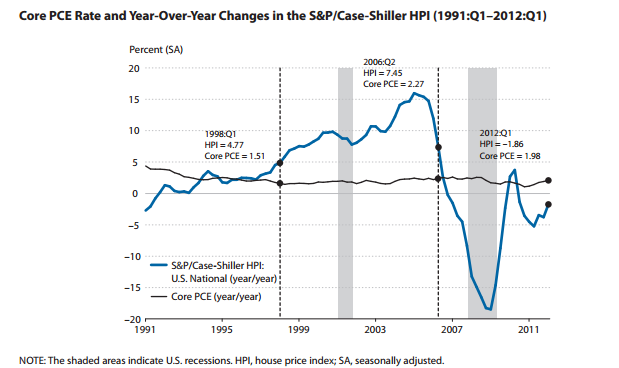 Chart shows the trend of residential real estate price in the US on a absolute level basis. 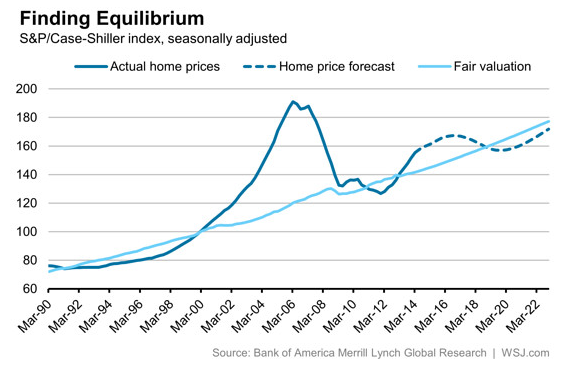 The spike from 2002 to 2004 is apparent the subsequent fall in home values after. The scale of the chart highlight the extent of the collapse. The chart provides an scary similarity to Perth house prices from pre to post mining boom. The mining boom caused a large run up in prices as inflow of interstate migration grew faster than residential supply. When the boom ended and the interstate migration flowed the other way. Residential supply added during the boom is not going anywhere which coupled with people leaving puts downward pressure on prices. The lower demand pushes up vacancy and rental costs where it is currently 25% below peak even 3 years after the boom. It will take longer for that market to recover. The chart below shows the annual year on year changes in prices. In percentage terms, the collapse in prices are just as severe as the rise during the run up period. Residential values in 2008 is almost the same as 2002. This coupled with leverage and interest does not mean a break even over 5 years but significant equity losses. Interestingly for Australia, the collapse in the US housing bubble led to the recession not the other way around where the recession cause the fall in asset value. This is important as others are looking for the trigger that will slow home price growth and the impact on the broader economy. Examples like a mining slowdown has capped Perth residential activity but not so much on the eastern states. The fall in commodity prices only affected the mining ares with concentrated mining employment. Eastern Australia states are more diversified with industry, financial and tourism offset any mining slow down. Values has also been supported by generational low in interest rates. We think we are near the peak in price growth as the boom will exhaust by it self. External factor is not required to pull the rug under the market. When prices exceed what most people can pay and lending is restricted. The boom will end in a whimper rather than a bang. There will also be long term implication on household net worth. Equity in housing makes up a large portion of middle class net worth. High net worth households diversify their investments across equities, fixed income and real estate. Any deflation in house prices would have a large negatively impact on medium and low income households. For example in managing equities, high net worth uses financial advisers to design investment portfolios based on their circumstances while middle class families do it them selves by share trading online. Chart above from the WSJ article highlighted what it could look like for older investors pre and post the real estate bubble. Older generation have more equity in houses than younger investors mostly due to the time in the market. 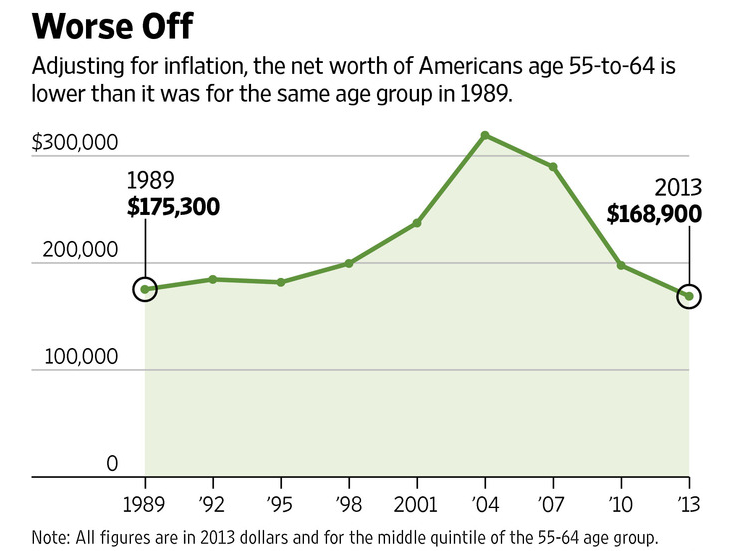 It is clear from the chart that the run up in net worth from early to late 2000 was due to the US real estate bubble. 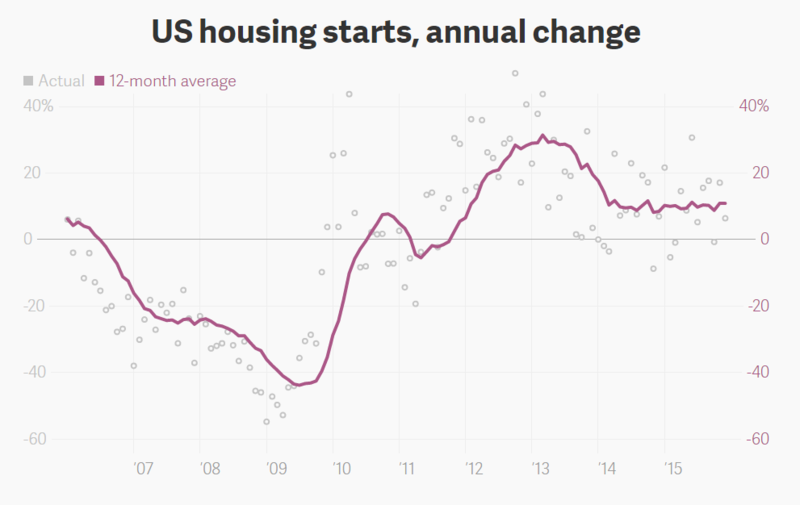 The fall in US house prices coupled with leverage actually made investors worse off.